These days, we witness a job market blooming with new job opportunities and numerous candidates seeking jobs. Managing a flood of resumes is a herculean task for HR managers and recruiters. With candidates applying for jobs on your website, resumes in your inbox, desktop and various folders, it seems almost impossible to look for the right candidate in this clutter. Closing a job position before deadline is always intimidating because of an unorganized recruitment process. Thus, it becomes very important to streamline the entire candidate selection process to speed up recruitment and increase efficiency. This is where resume parsing comes into picture. Many companies are incorporating CV automation tools to simplify hiring process and reduce the headache of manually checking each resume. The sole purpose of doing the same is to hire the right candidate for the right job and eliminate manual intervention of HR or recruiter. 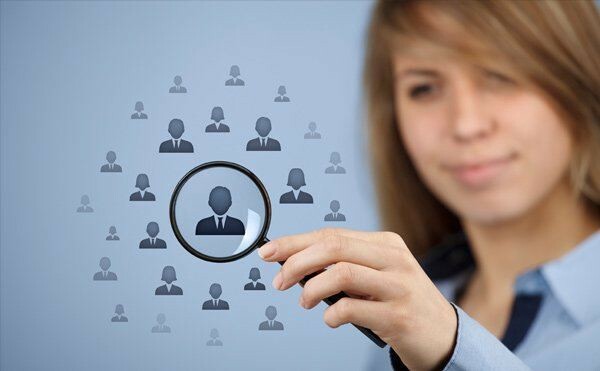 Applicant tracking systems are used by many recruiters to manage mountains of resumes. Overall, resume parsing makes a company efficient and productive to accelerate recruitment process. Resume Parsing is an excellent technology through which data can be extracted from the resume in multiple fields. In other words, it means organizing unstructured data in a structured manner. With the help of this excellent software, resume of any format can be converted, be it doc, docx, PDF, HTML, tiff or txt. Multiple fields: A resume parser gives an output in JSON or XML and segregates information in various fields such as Contact Information, Personal Details, Experience Details, Qualification, Skills etc. Bulk resumes: A resume parsing software is also capable of parsing resumes in bulk either from desktop folders or database. Even, it is capable to upload resumes in salesforce like CRM from any source such as email, desktop folders, etc. Integration: A good resume parser can be easily integrated with your existing software to automate recruitment process. Email Inbox Parsing: Email inbox parsing is an effective resume parsing tool which fetches resumes directly from your emails. Simply forward the resumes to the email ID registered with us. Real-time Access: Resumes are parsed in real-time i.e it takes maximum one sec to parse a resume. Multi-lingual: Various languages are automatically identified by the parser and information is extracted accordingly. With resume parser in place, recruiters can search the right candidate through resumes quickly and accelerate candidate selection process. This saves time, labor and money which can be invested in other strategic activities. Recruiters can also use resume parsing through a CRM, for example, salesforce. It is an excellent cloud- based CRM which provides artificial intelligence to its customers. Many companies use this software to manage their complete business operations, be it Marketing, Sales, HR, Analytics etc. Uploading resume in Salesforce will be a breeze with resume parsing technology. Recruiters can easily transfer resumes in Salesforce in a blink of an eye. As information is taken from resumes and stored in required fields, recruiters can simply search a candidate by looking at a specific skill. This automated technology works with utmost efficiency. Resume parsing also gives an exceptional user experience to candidates. Candidates do not have to fill in lengthy forms and can simply upload their resume in CRM e.g Salesforce and the fields will be automatically populated. Thus, candidates will not leave your website and shift to any other. A satisfying and smooth user experience will result in minimal exit rate from job websites. Eventually, the recruiter gets a strong database and a lot of options to choose from. The end result is accumulation of qualitative data and quality talent acquisition, leading to a faster candidate selection process. As technology has already given many new options to its users to expedite every process, resume parsing has empowered both recruiters and candidates with one-click trick. Now a job can be closed in no time with just one click and candidates can apply for the same by clicking just one button. With the help of social add-ons, recruiters can also get access to the social profiles of candidates, getting an updated information about them. Resume parsing helps in hiring candidates in a go. Say goodbye to manually sorting and sifting through resumes and simplify the recruitment workflow with this automation tool. I am working closely with resume parsing software. It helps recruiter to parse resumes from any kind of source to any target CRM or spreadsheet.